We’d love your help. Let us know what’s wrong with this preview of Field Work by Seamus Heaney. "Field Work," which first appeared in 1979, is a superb collection of lyrics and narrative poems from one of the literary masters of our time. As the critic Dennis Donoghue wrote in "The New York Times Book Review": "In 1938, not a moment too soon, W. B. Yeats admonished his colleagues: 'Irish poets, learn your trade.' 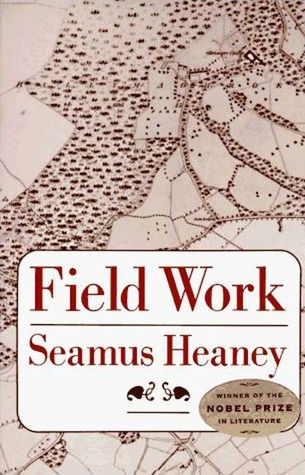 Seamus Heaney, born the following year, has learned hi "Field Work," which first appeared in 1979, is a superb collection of lyrics and narrative poems from one of the literary masters of our time. As the critic Dennis Donoghue wrote in "The New York Times Book Review": "In 1938, not a moment too soon, W. B. Yeats admonished his colleagues: 'Irish poets, learn your trade.' Seamus Heaney, born the following year, has learned his trade so well that it is now a second nature wonderfully responsive to his first. And the proof is in "Field Work," a superb book . . . [This is] a perennial poetry offered at a time when many of us have despaired of seeing such a thing." Seamus Heaney received the Nobel Prize in Literature in 1995. His recent translations include "Beowulf" and "Diary of One Who Vanished"; his recent poetry collections include "Opened Ground" and "Electric Light." "Field Work," which first appeared in 1979, is a superb collection of lyrics and narrative poems from one of the literary masters of our time. As the critic Dennis Donoghue wrote in "The New York Times Book Review": "In 1938, not a moment too soon, W. B. Yeats admonished his colleagues: 'Irish poets, learn your trade.' Seamus Heaney, born the following year, has learned his trade so well that it is now a second nature wonderfully responsive to his first. And the proof is in "Field Work," a superb book . . . [This is] a perennial poetry offered at a time when many of us have despaired of seeing such a thing." "Heaney is keyed and pitched unlike any significant poet now at work in the language, anywhere." --Harold Bloom, "The Times Literary Supplement"
"For all the qualities I list, the most important is song [and] the tune Heaney sings [is] poetry's tune, resolutions of cherished language." --Donald Hall, "The Nation"
To ask other readers questions about Field Work, please sign up. This collection of poems was published in 1976, four years after Heaney left Belfast with his family and moved south to County Wicklow, south of Dublin. Even here, though, far from the Troubles, his mind cannot leave the torment of Northern Ireland. In the opening poem, “Oysters”, as he is much in the present, “Our shells clacked on the plates/…Alive and violated/… Bivalves: the split bulb/…Millions of them ripped and shucked and scattered,” his thoughts gravitate northward. The first part of th This collection of poems was published in 1976, four years after Heaney left Belfast with his family and moved south to County Wicklow, south of Dublin. Even here, though, far from the Troubles, his mind cannot leave the torment of Northern Ireland. In the opening poem, “Oysters”, as he is much in the present, “Our shells clacked on the plates/…Alive and violated/… Bivalves: the split bulb/…Millions of them ripped and shucked and scattered,” his thoughts gravitate northward. The first part of the next poem, “Triptych”, is subtitled “After a Killing”. In “The Toome Road” he remembers a convoy of armed cars with soldiers, and in “The Strand of Lough Beg” a random sectarian killing. His gaze is immediate, his language often harsh, at times almost guttural, his verse firmly rooted in the particular. After the first several poems, Heaney’s verse begins to focus more on his own identity as a poet, his development in that calling, and the actual craft of writing. Of particular beauty is “Elegy,” his tribute to Robert Lowell and Lowell’s influence on him. This leads logically to his ten “Glanmore Sonnets,” masterful works building on each other and demonstrating his increasing mastery of his craft. The poems in the last half of the volume are more intensely personal, celebrating Heaney’s own relationships and dwelling on the immediacy of present sensory experience, although never lacking in allusions to the greater poetic tradition. The final poem, “Ugolino”, is in fact a translation of Dante. Enjoy one of the greatest Irish poets...Seamus Heaney. There are countless poems from which to choose to discuss because I enjoy them so much. I am touched by Heaney’s self-comparison to “some old pike all badged with sores / Wanting to swim in touch with soft-mouthed life” in “The Guttural Muse.” I am nearly moved to tears when Heaney, elegizing a friend who frequents his father-in-law’s public house, writes in a poem titled “Casualty,” “I loved his whole manner, / Sure-footed but too sly, / His deadpan sidling tact, / His fisherman’s quick eye.” I am reminded of my own meditative visit to Ireland when, in the fourth Glanmore Sonnet, I read, “He saw the fuchsia in a drizzling noon, / The elderflower at dusk like a risen moon / And green fields greying on the windswept heights.” And finally, I recall my own romantic escapades in nature when Heaney describes intimate human contact with reference to the bark of a tree, singing “Boortree is bower tree, where I played ‘touching tongues’ / And felt another’s texture quick on mine.” At one point, Heaney asks, “What is my apology for poetry?” For this reader, he need not defend his “trade,” to use Yeats’s term, whatsoever. While I have read a number of Heaney’s poems in the wide-ranging volume of selected works, Opened Ground, this is his first book that I read from cover to cover, and it was sheer joy. Heaney’s intelligence, wit, and poetic ability are unmatched by other Irish poets whom I have studied, barring W. B. Yeats. I am eager to read another Heaney collection all the way through—and soon. The Heaney kitemark is here in strength, a whole vocabulary of farming life, some curious rhymes hinting at a local accent, puzzlement when the countryside code giving right of way to herded cattle confronts an uncompromising convoy of armoured cars, or an innocent rural journey is tracked by a military helicopter. More elegies for lost friends than you might expect until you notice the manner of their deaths; 'The Troubles' continue and the poet, perfectly aware of the violence, remains stubbor The Heaney kitemark is here in strength, a whole vocabulary of farming life, some curious rhymes hinting at a local accent, puzzlement when the countryside code giving right of way to herded cattle confronts an uncompromising convoy of armoured cars, or an innocent rural journey is tracked by a military helicopter. More elegies for lost friends than you might expect until you notice the manner of their deaths; 'The Troubles' continue and the poet, perfectly aware of the violence, remains stubbornly committed to his art. These are not still life odes to the countryside but rather to people who happen to belong there; they are affectionate rather than critical, loving and not angry. "You aspired to a kind, / Indifferent, faults-on-both-sides tact." sidenote: why am i not surprised that heaney managed to write the best love poem i’ve read in recent memory inspired by a skunk? This was an interesting collection of poems. It starts off with the violence of Irish political conflicts haunting the waking dreams of the poet even when he retires from Belfast in disillusion. Slowly, Heaney reverts to the contemplation of nature and rural life that made Death of a Naturalist such a testament to his power to capture the vivid earthiness of the Irish countryside. Heaney’s poems can rarely be read once and often require some further research on the apart of those not well versed This was an interesting collection of poems. It starts off with the violence of Irish political conflicts haunting the waking dreams of the poet even when he retires from Belfast in disillusion. Slowly, Heaney reverts to the contemplation of nature and rural life that made Death of a Naturalist such a testament to his power to capture the vivid earthiness of the Irish countryside. Heaney’s poems can rarely be read once and often require some further research on the apart of those not well versed in Irish recent history and culture, but they are well worth the effort. Although I didn't understand them all, the poems are beautiful. This is the kind of book that makes me wish I could study it with someone who knows this poetry to help me make sense of it. I kept going back to the first poem in the book, Oysters. The images are strong and evoke feelings of sensuality, friendship, loss and memory. I also loved The Singer's House. La poesía no es lo mío, lo admito, y quizás por eso no pude conectar con este libro. Las imágenes que crea el autor se vuelven repetitivas y extrañas, tanto que algunas ni siquiera terminé de entenderlas. El año que viene quiero leer más poesía, pero seguramente no será otro libro de Seamus Heaney. I enjoyed Electric Light more. Some good imagery. Make you think of different things and inspires varied emotions. Well communicated. Still prefer the classic poetry. Not my prudence, love, can heal your wounded stare." When not meditating on the mythic beauty of nature, Heaney's heart-wrenching bouts of nostalgia will move even the most cynical and hard of heart. This is my first outing with poetry since school. Some of the poems I really connected with. Oysters really stands out. The presence of the Troubles, the fear, the tragedy was mostly subtle, blended in with the countryside, the people, nature. The poem about Bloody Sunday was powerful. However, there were a number of poems I just didn't get, and not being overly literary, I didn't mind that at all! I will return to more of Heaney's work but not too soon, as poetry is quite alien to me. RIP Mr Hea This is my first outing with poetry since school. Some of the poems I really connected with. Oysters really stands out. The presence of the Troubles, the fear, the tragedy was mostly subtle, blended in with the countryside, the people, nature. The poem about Bloody Sunday was powerful. However, there were a number of poems I just didn't get, and not being overly literary, I didn't mind that at all! Not to love the life we’re shown? An excellent collection in which Heaney spend time thinking outside of his previous works but feels more human in many of the poems. He reflects on the dead and the history of his family and Ireland even looking to the fighting in Belfast for inspiration. I found myself drawn into the poems in a way that many poets can't do. I couldn't get out of the book easily and had to remind myself to go to sleep. I think this is among Heaney's finest works.